What’s the first thing you think of when you hear the word February? Maybe you feel a flutter in your heart because you know spring is closer than it’s ever been; maybe it’s the birthday month of somebody special to you. Heck, maybe President’s Day is your jam! 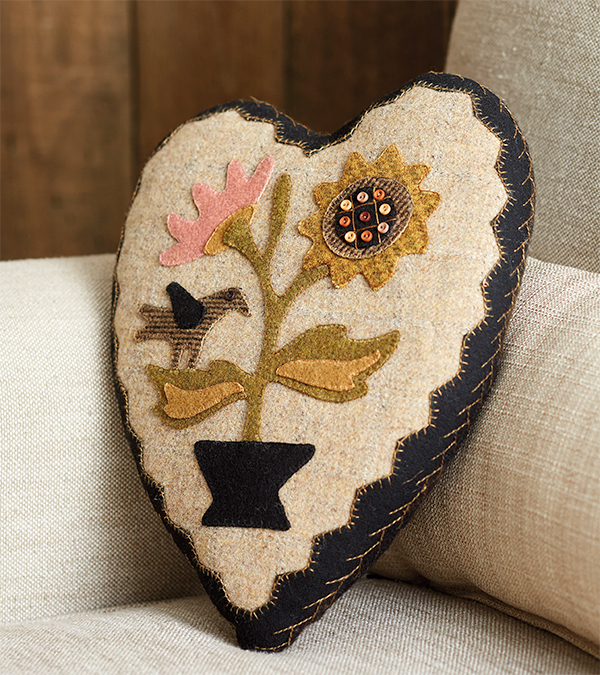 But for most of us, February turns our heads toward our hearts . . . because Valentine’s Day is on the way! 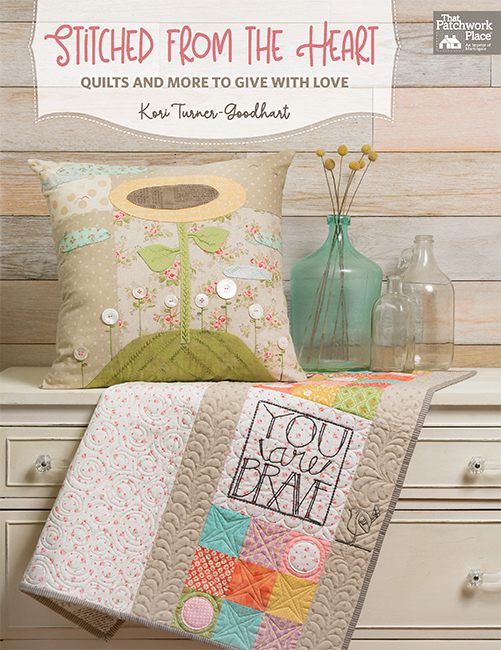 Whether you want to shower someone you love with hugs and kisses, candy and flowers, or a night on the town, a gift you’ve made with your own two hands will help the day last forever. Today we’ve rounded up some smallish projects to whip up in plenty of time for the 14th—who would you make these pretty handmade gifts for? ❤️ Here’s another cute project from Natalie—wouldn’t this be a perfect gift for a little one who’s in love with a doll or a teddy bear? A tiny blanket for their bestie! ❤️ Okay . 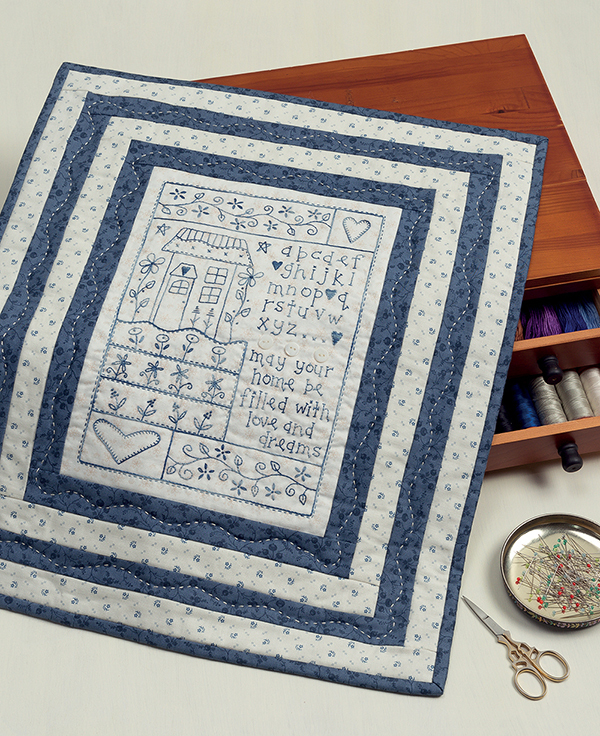 . . so you might not be able to finish this gorgeous quilt by Valentine’s Day—but it looks so fun to make. And Valentine’s Day 2020 is only 375 days away! 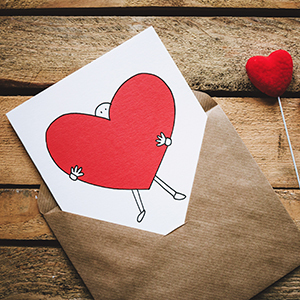 Who would you like to surprise with a fabric valentine this year: your main squeeze, your mom and dad, your kids, your grandkids, your best friend? Tell us in the comments! My main squeeze, of course, and our 7 sons and their families. Of course, we don’t need a holiday to love and appreciate all of them. My main squeeze and our daughter for certain. My best friend, Lisa! We love the same things and each other! My 2nd Mom and Dad who are in their 90’s to let them know how much I love them. 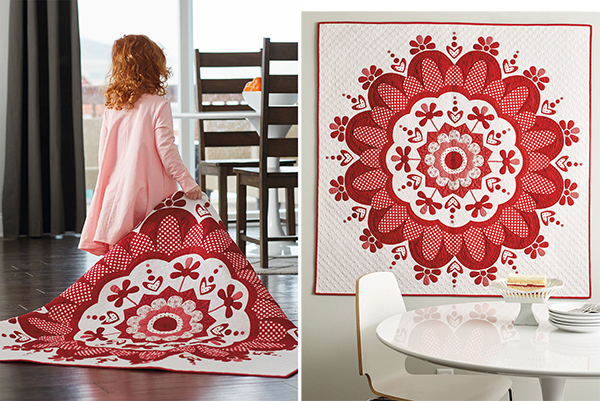 Wow some pretty cute valentine ideas… my main squeeze is my biggest quilting fan. My grandchildren, two girls and one little boy, have my heart. Definitely the little grandkids. Love to give “everlasting “ valentines to grandkids. These mini projects are great! I’d like to make something for my DH. He’d poo-poo the event, but would inwardly glow with warmth and appreciation. I would have to say my best friend. She’s the one who "gets it"!!! 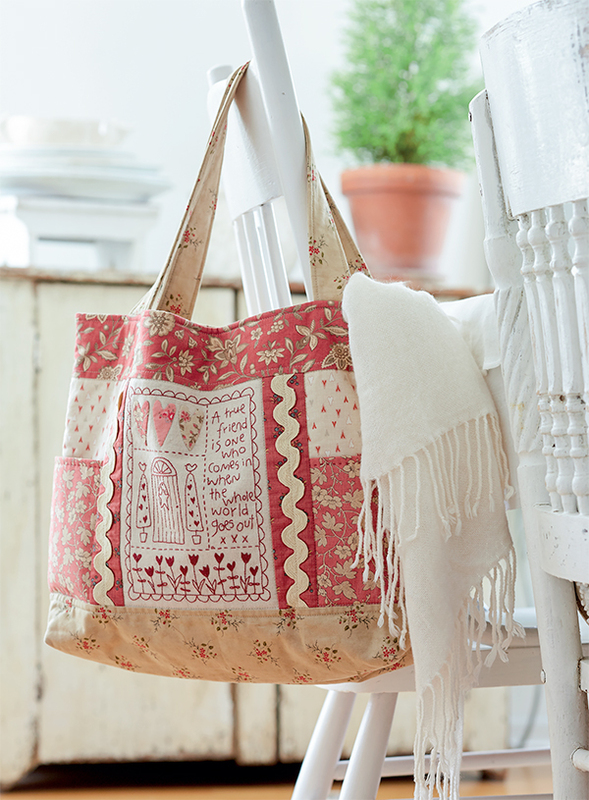 Gets the crazy fabric, color, applique, and woolly mind I have! 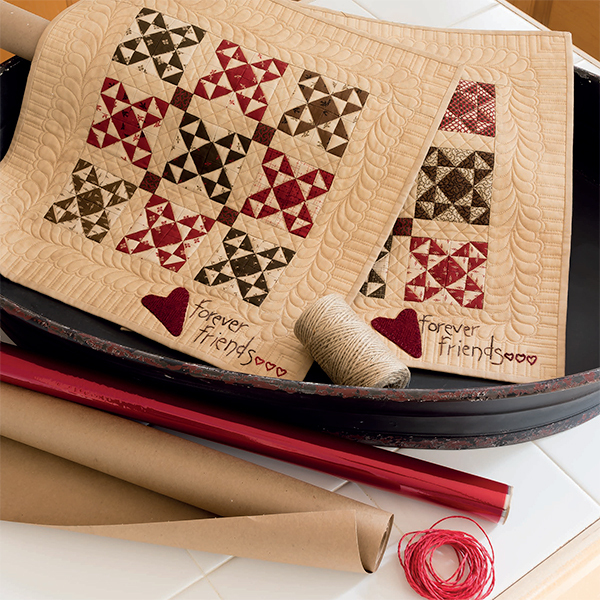 I have so many scraps I need to use up, so I would like to learn how to make up a ready to give batch of quilted postcards, b’day cards, valentine cards, Christmas cards, thank you cards, etc. 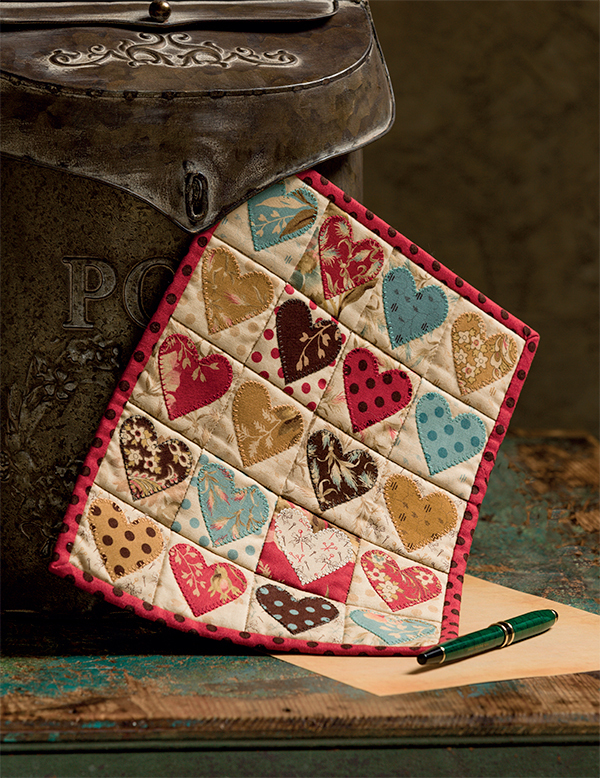 I have also made the Edyta Sitar’s heart mini quilt that you showcased, pin cushions and am inspired by your all your updates! So much to do! I need to get into action! 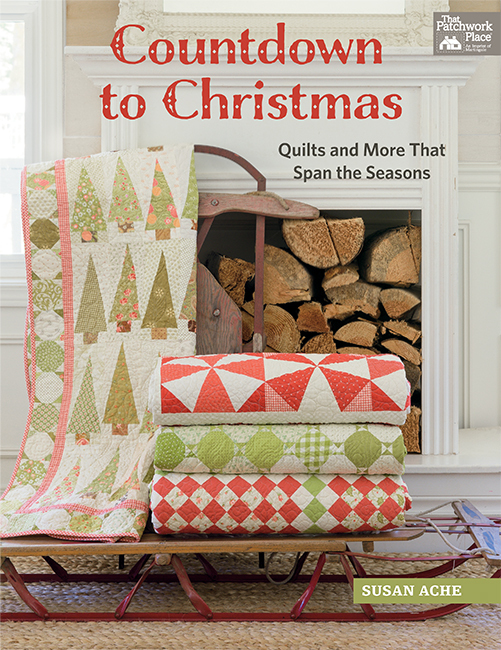 I love my all my quilting inspirational books I get from Martingale. I have a surprise for my 2 girls. I have lunch once a month with my school friends. Most of us started school together in first grade and graduated from High School together. 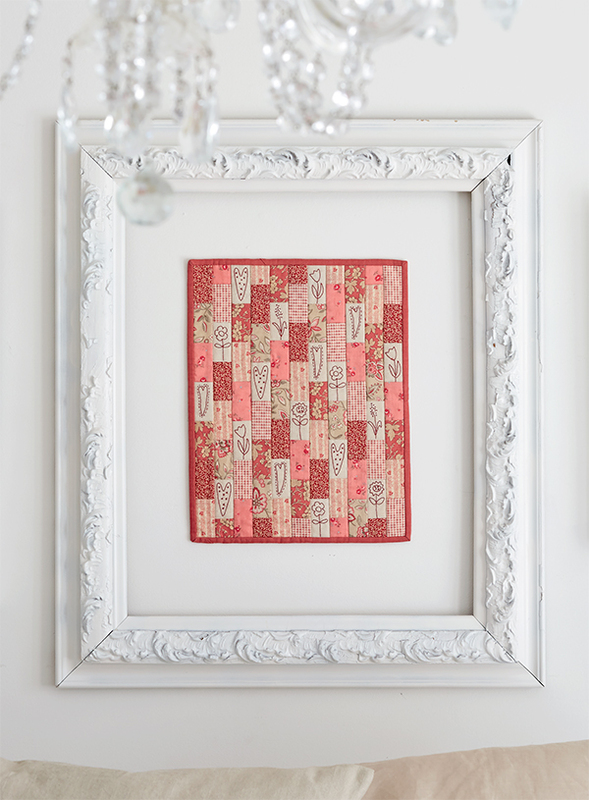 I would love to give these twelve ladies fabric hearts for Valentines Day. My Daughter. Her favorite color is red and her favorite holiday is Valentine’s day. I would make my grandsons a valentine. They are small so they like everything and they are so much fun! I’d like to surprise my husband. He never sees my work (I have a "no entry" clause on my craft room), and I think he would be really touched. I would like to surprise my granddaughter,but I don’t think she would appreciate like my best friend Tarita. She would truly treasure it. I would like to surprise my good friend who has been very supportive through some hard times. I would like to make for a friend of mine, who this past year and a half has undergone chemo and radiation. It is too late to for me to make for Valentine’s Day, but I can do this anytime. 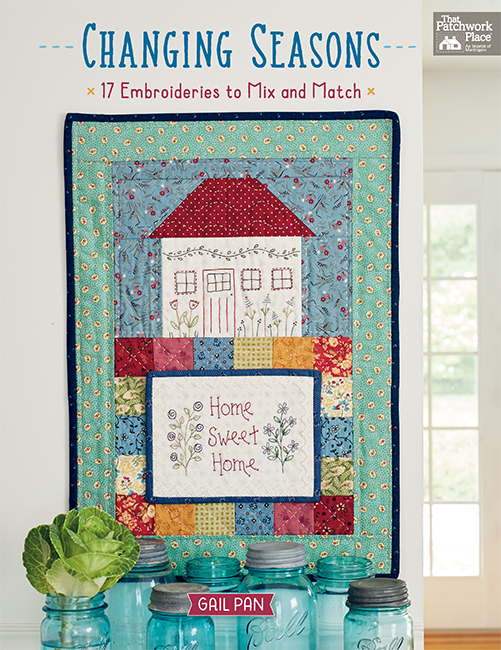 These little quilts are adorable. It would be for my main squeeze. The support he has done for this family is beyond expectations. dquilterguy48329 (at) prodigy (dot) net.